Haven Naranjo is a proud Caddo Indian, with a frightening past. He was a mere fifteen-year-old boy when he found his parents, part of his tribe, and his high-school sweetheart slaughtered by a wereman gone mad. Falling victim to a system unable to deal with a shattered young mind, Haven finally gives up on himself. He grows up to be bitter and resentful toward the creatures he hates: werewolves. Alexander Prescott has known since he hit puberty that Haven is his true mate. But there's one problem: Alexander comes from a large werewolf clan and is the true vessel of the Fenrir Ulv, destined to become the leader of all supernatural beings: the King of Wolves. Alexander knows how to charm his, and his wolf's, way into the grumpy Caddo Indian man's heart. But fate has other plans for them. 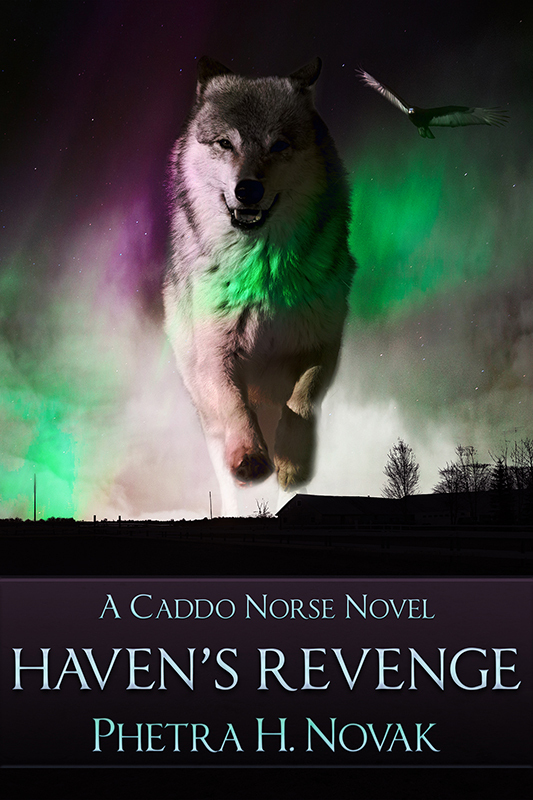 Haven's Revenge is a story of an emotional journey for a whole community. It's about finding acceptance not just from others but in yourself.